Barney was asked to direct a film about Nike’s latest activation in Brazil to mark the unveiling of the Brazilian team shirt for the World Cup. The campaign was conceived and produced by experience specialists Superuber and the film produced by Crane TV. 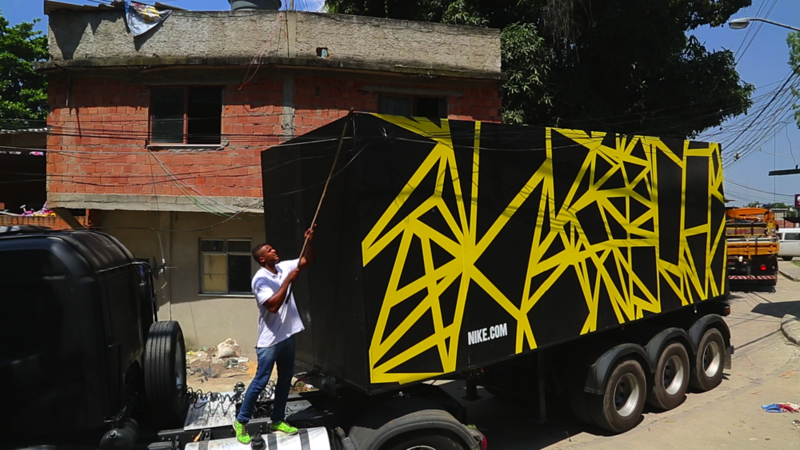 In order to create the Nike Truck, a shipping container was converted into a mobile photographic studio and mounted onto a truck which toured around Brazil for 2 weeks, allowing members of the public become the first in the country to be professionally photographed in the new team shirt by top Brazilian photographer Bispo. Fans were able to instantly share their pics via social networks just days before Brazil’s offical world cup shirt became available in the shops and the photos were projected on buildings in real time using projection bombing technology.